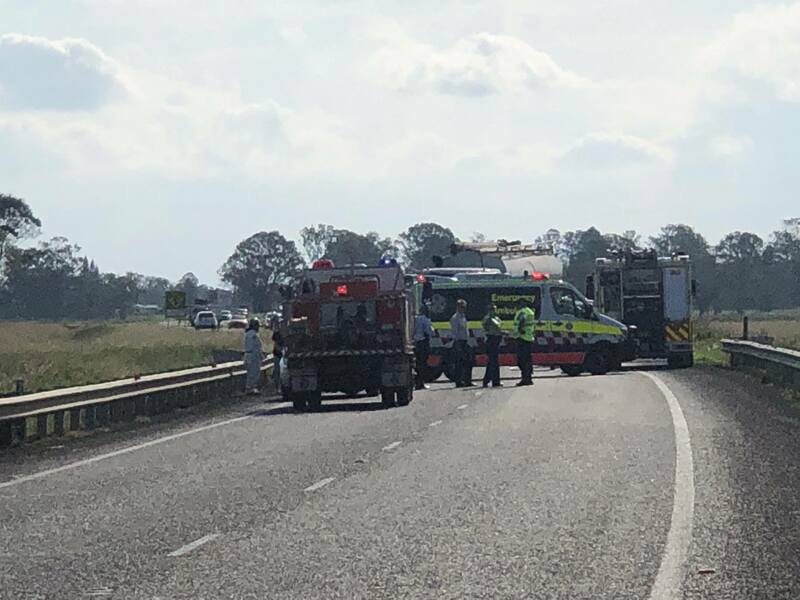 An elderly couple has died after their car collided head-on with a grain truck just outside Casino on Wednesday afternoon. Emergency services were called to the scene on Bruxner Highway at Clovass around 4pm. The man and woman in the car were pronounced dead at the scene. The truck driver is currently being assessed at Casino Hospital. “Very early inquiries, but eyewitnesses have indicated that the red commodore may be at fault,” said Inspector Nicole Bruce. The Bruxner Highway is closed in both directions at Clovass, and is expected to re-open at 7pm. Eastbound motorists at Casino should use Spring Grove Road and Caniaba Road before rejoining the highway at Loftville. Police are continuing to investigate the circumstances surrounding the crash.